Habitat - Wet hammocks, pine flatwoods. 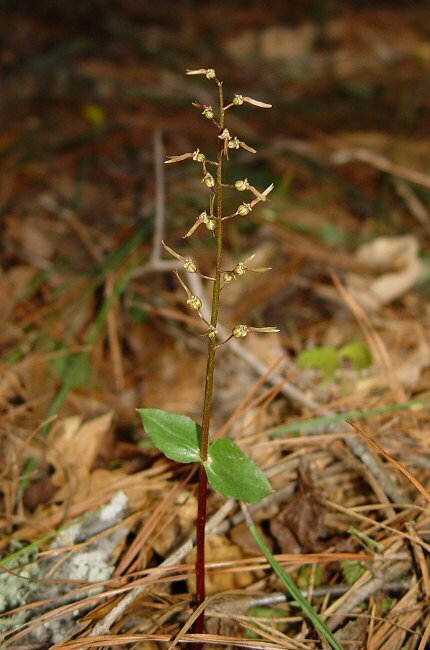 Other information - This little species of orchid can be found scattered throughout much of Alabama but is rarely seen. 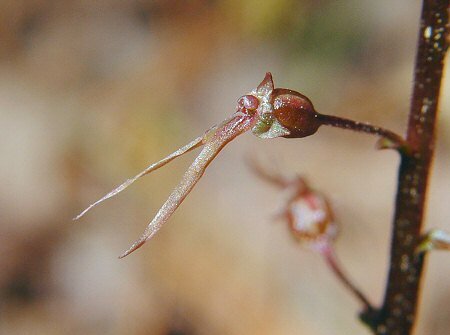 The plant is considered to be fairly rare but may be more common than is assumed. Its small size and brownish color make it difficult to see in the field. 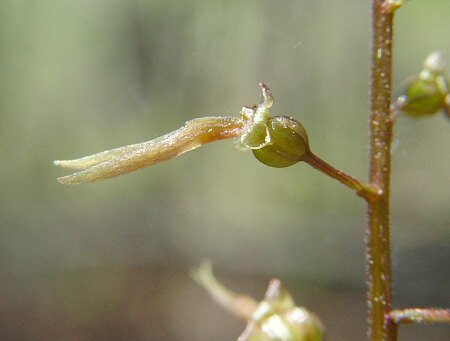 The species epithet australis derives from the Latin "austr" meaning "southern" as this species is found growing further south than any other North American species. The genus name Listera is given in honor of Martin Lister, 1638-1712. Lister was a physician and prolific naturalist. In 1683 Lister proposed a map of the soils of England. He is credited with the idea of the geologic map. Photographs taken off Wire Road, Macon County, AL., 4-3-05.